PROVIDING THE HIGHEST QUALITY CATALYST, PRE-ENGINEERED CATALYST UNITS, REPLACEMENT OXIDATION CATALYST AND SCR CATALYST. STANDARD AND CUSTOM SIZES AND CUSTOM ENGINEERED UNITS. 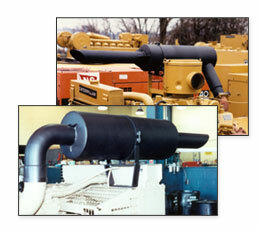 PROVIDING HEAVY-DUTY EXHAUST SILENCERS, MUFFLERS AND COMBINATION CATALYTIC MUFFLERS AND CATALYTIC SILENCERS. In addition to our pre-engineered exhaust silencers, we can combine our diesel and oxidation catalyst products and particulate filters with our total range of exhaust silencers (mufflers). With a combination catalytic silencer, we bring state-of-the-art air and noise emissions compliance into one integrated package. Our units are designed to satisfy the most stringent noise and pollution control requirements while achieving targeted pressure drop, long service life and affordability. 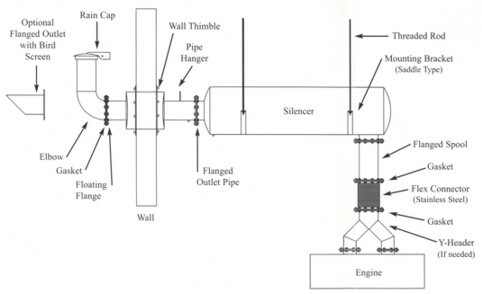 Catalytic silencers can reduce NOx (Nitrous Oxides), CO (Carbon Monoxide), UHC (Unburned Hydrocarbons), Soot (Particulate Matter), and Engine Exhaust Odors while achieving noise reductions from industrial grade to extreme grade. Standard attenuation grade units include industrial, residential, critical, hospital grade and extreme grade.